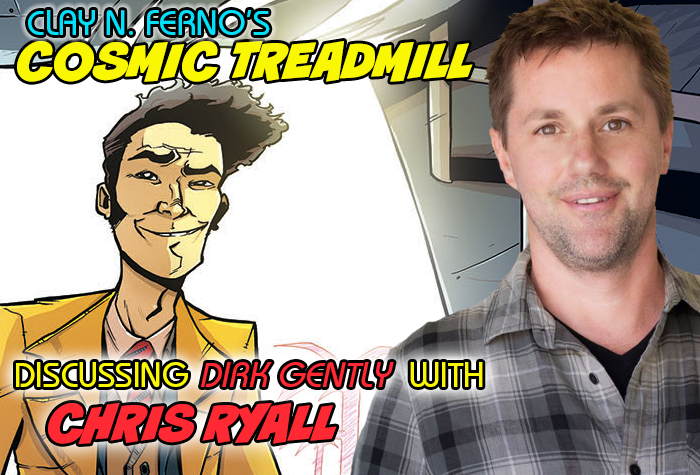 IDW’s CCO and Editor-in-Chief Chris Ryall (Zombies vs. Robots, Onyx) takes on Dirk Gently in the latest mini-series from the publisher. Dirk, for the uninitiated, was a character created by Hitchhiker’s Guide author Douglas Adams that made his debut in 1987. Chris took some time to join us today for a deep dive into this “ghost-horror-detective- time-travel-romantic-comedy-epic”. Issue 4 (of 5) is out today wherever fine comics are sold or iPads are resting. Stay tuned also for a Dirk Gently TV show from Max Landis and BBC America. Chris gives us some insight into the television adaptation as well. FOG! : Thanks for joining us today, Chris! I was the one with the most annoying questions at the IDW panel at Boston Comic Con. Did you have a good time in my hometown? Chris Ryall: I love that con, yes. It’s a great city and a great focus on comics at that show—and believe me, I never find any questions at panels annoying. Only thing I ever find annoying on panels is a lack of questions. Surely, we were interconnected and you were really just there so that we could set up this interview about Dirk Gently for IDW. 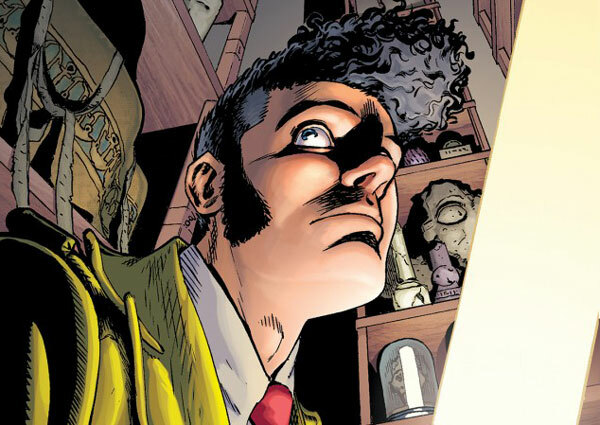 Why revisit Dirk Gently for comics? Why not? “Why not?” works for me. But really, other than the intimidation factor of trying to emulate Douglas Adams’ work to any degree, Dirk is a perfect fit for comics. In his first novel alone, there was time-travel, aliens, ghosts, alien-ghosts, murder and other such genre elements that work well in a visual medium like comics. 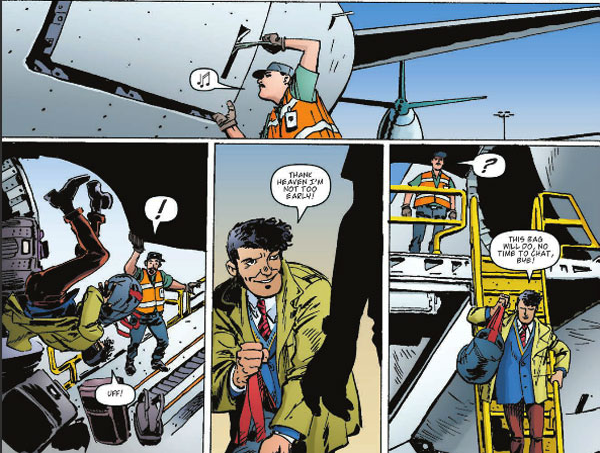 And somehow, Dirk has flown under a lot of peoples’ radars, despite the novels and the TV show, so it’s always fun to bring to comics something that might then lead people back to the excellent source material. I’m a huge Douglas Adams fan, and though Hitchhiker’s Guide is his more famous work, Dirk always appealed to me. I never was even a Doctor Who fan until the reboot! Thanks for bringing him back into our lives. Where did we last leave Dirk from Long Dark Tea Time of the Soul and how do we get to your book? What brings Dirk to your neck of the woods in San Diego? The TV series that’s being run by Max Landis was going to bring Dirk to San Diego, so this wasn’t just me being lazy and setting Dirk in my backyard (but it has worked nicely for location reference for the artist). Did you have to bone up on theoretical physics, mathematical probabilities and other hi-level deductive studies to prep to write the book or did you just sort of think it would work out in the end? It’s funny, because I did originally think the best way to tell a Dirk story is at the conclusion—just figure out where I wanted to end up and back things out from there. Which is typically a sound way to plot a mystery. But, as with all things Dirk-related, that just didn’t work at all. So I put together a full proposal the way I would any other story, although more intricately plotted than anything I’ve ever done. And then, when I had it all set and clear in my mind and knew how to tell the story, well, one of the story elements, my c-plot upon which much of the conclusion depended, had to get removed and the entire thing wobbled and almost fell apart. So it was a real struggle to figure out how to then work around that, since again, just dropping in a substitute c-plot wouldn’t work. All of which made it feel more right to me, since a Dirk comic shouldn’t be clean and easy. So I’m not saying writing is difficult labor by any means compared to actual work, but I really did sweat this one more than anything I’ve ever done. Mentally, it was already a big challenge with the giant shadow cast by Douglas Adams’ talent, and then all of this really messed with my head. All of which led to a much better series that I think concludes in very satisfying fashion, so I think—now, on the other end of all of that—I wouldn’t have had it any other way. As for theoretical physics, it’s funny—as I was starting work on this, I was also planning a series called String Divers, based on Ashley Wood’s toy line of the same name. 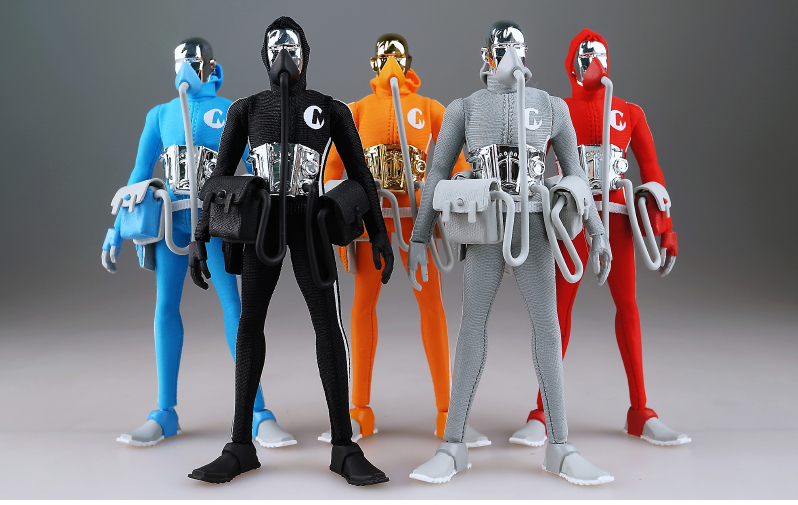 The Divers are these robotic adventurers who explore worlds through theoretical physics’ string theory. To bone up on that, I’d been reading a book called The Dancing Wu Li Masters, which takes theoretical physics and actually makes it conversational and understandable (to some degree). So that was already in my head, but again, as with all things Dirk, you pretty much cannot go by the book and make it work. You must have to work backwards and forwards at the same time! Do you ever get lost in it? I think I just hit on this above, yes. Let’s just add to all that the fact that I now really understand The Salmon of Doubt, the unfinished third Dirk novel. I had a real Big Numbers (the famously unfinished Alan Moore comic where he supposedly had a mental schmutz while working on it) moment with this at the start but came through the other side. Hopefully readers will like where it all ended up. What’s this we hear about a television series? That all escalated quickly! Was watching the 2010 BBC television series part of your research? I watched one episode, but then stopped because I wanted Douglas’ voice in my head, not a TV version of the same. The Dirk in the comics owes a bit more visually to that show than I wanted to do—I wanted him more rumpled and pot-bellied like in the books (but I did at least get him a red hat, of a sort, in issue 2). As for our TV show, yeah—I’m glad I was already into the comic plot when I read the show bible but Max Landis’s bible for the show is this long, details act of brilliance, so funny and well-done, that I think it would’ve intimidated me all over again, or at least forced me to try to reconcile my Dirk with both Adams’ and his version. As it is, the comic and the coming BBC America TV show will be nice companions to one another; and both will still be staring up at the Adams novels in awe. This first comic series has mummies, copycat killers and even an appearance from Tea Time favorite Kate Schechter (and girlfriend of Thor!). What more can we expect to see as this series wraps up? More mummies, more killing, more Kate, a wily drone, a soul-sucking phone (I know, aren’t they all), clothes-swapping, soul-swapping, a time-traveler, a gala party at the museum, a violin solo, and much more! Thanks again, Chris! Any advice for young kids out there that want to get into the paranormal psychic detective game? Throw down those books and just let it happen. Things will always (usually) work out in the end. Contest! Win DIRK GENTLY on DVD!